Chi Chi Rodriguez, a golfer, once said: “Golf is the most fun you can have without taking your clothes off.” Incredibly, many people enjoy playing golf that they even consider buying used golf carts. It is about the convenience of how they can have more pleasant time doing the game. 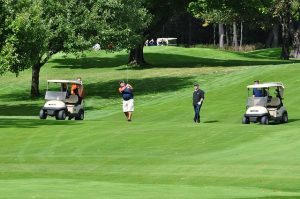 If you are one of the many people who loves playing golf and planning to get a second-hand golf cart, then you must read this article now. You will definitely enjoy the beginner’s guide tips and details from this. Let us discuss and find out more what are the latest ideas on how to get the best of what you are going to purchase soon. According to buzzle.com, electric golf carts “ adds speed and style to your game.” Hence, it also shared some interesting tips that you could use about buying these vehicles. Here are some of them. Personal contacts, online shopping or dealers? When you are going to golf carts for sale the first time, you should consider initially how will you and where are you buying. There are three choices that you can choose from. If you opt for dealers then you have a range of selection here. They can offer you electric or gasoline cars with more than one selection. Then, up could also look for one with online shopping. The internet is definitely a treasured haven for these things. The reduced price is the catch here as well. How? You can contact yourself the seller and you will not anymore have a dealer to mediate the sale. Further, personal contacts are the best too. You can ask whether anybody from your friends or knows about used golf carts. In here, you are guaranteed well because they recommended the sellers. Other things to consider: age, price, features, and more. As you go along in searching for the best-used golf carts, you should also think about some things. Age, price, and feature are just some of them. These are important especially with your preference of golf cart. Age is something critical in golf carts. Supposedly, a vehicle’s parts are harder to find when it is older. Ask first and check its model before buying. Then, features will come along way too. This will include whether you are looking for a gasoline or electric type. Your lifestyle should fit the vehicle’s accessories as well. To note as well, you should check as well the government’s license guidelines about your choice. Lastly, the price will determine everything in your search. There are always pricey and affordable used golf carts in the market. You should just need to be patient to find what suits you the price you are in. Asking is also never wrong so always keep on haggling if you can.